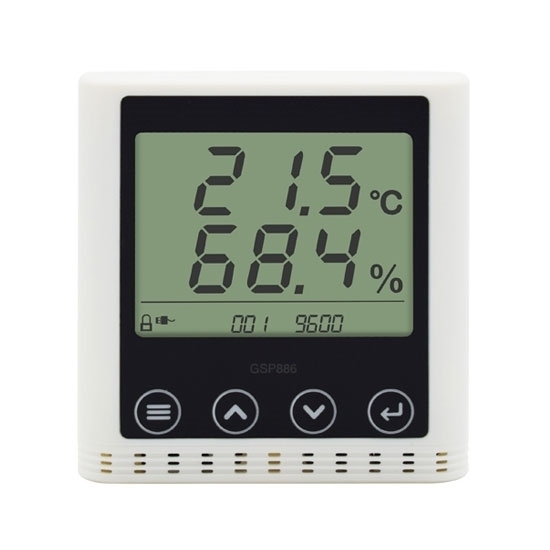 Temperature and humidity transmitter has built-in digital temperature and humidity sensor, 3.8 inch backlight LCD display, alarm module (high/low temperature alarm, high/low humidity alarm), RS485 output signal, meets GSP certification standards. Remote temperature and humidity transmitter can connect with various kinds of external temperature and humidity sensor for long distance measuring, and also can connect with PC and warning lights to form a remote monitoring system. 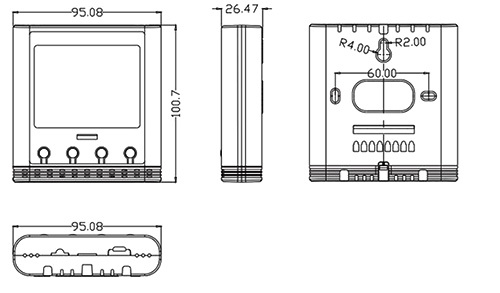 Temperature and humidity transmitter built-in alarm module, RS485 output signal, LCD display. Application: Transmitter is widely used for temperature and humidity measurement and control in building automation, HVAC system, storage, transportation, pharmacy and machine room. Wireless temperature and humidity remote monitoring system has a simple hardware structure. A wireless temperature and humidity sensor adopts battery for power supply and it can be placed in any position by needs without wiring. The temperature and humidity data are transmitted to the monitoring center through wireless communication. Wireless temperature and humidity monitoring system can monitor a large area of multi points temperature and humidity, collects the temperature and humidity data in real time, manages data and records the data. The monitoring operator can monitor the temperature and humidity conditions and changes in real time anywhere in LAN or WAN, so as to ensure the safe operation of important equipment. Automatic monitoring software can also be used to set alarm settings on web or client, to realize the mail alarm, message alarm, telephone alarm, real person voice alarm, etc.